This recipe is super fast and easy to make! My kids loved it! 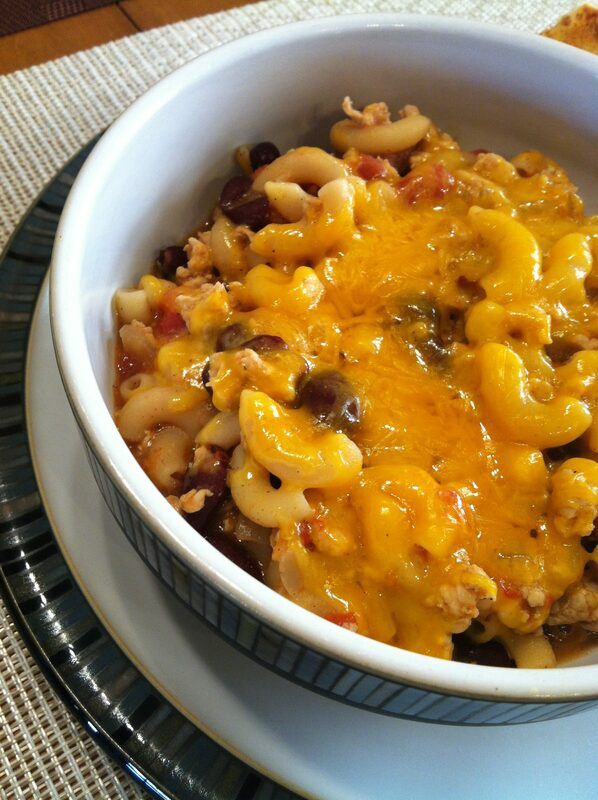 This is a perfect make ahead meal for busy nights or a great hot lunch for the kids at school. I found this recipe on damndelicious.net. I used 1 1/2 cups of red kidney beans instead of adding the 3/4 red and 3/4 white. I used ground turkey instead of using beef. I also grated my cheese super fine so that it melted quicker. 1. Heat oilve oil in a large killet or Dutch oven over medium high heat. Add garlic, onion and ground beef, and cook until browned, about 3-5 minutes, making sure to crumble the beef as it cooks;drain excess fat. 2. Stir in chicken broth, tomatoes, beans, chili powder and cumin;season with salt and pepper, to taste. Bring to a simmer and stir in pasta. Bring to a boil, reduce heat and simmer until pasta is cooked through, about 13-15 minutes. 3. Remove from heat. Top with cheese and cover until melted, about 2 minutes. 4. Serve immediatley, garnished with parsley, if desired.